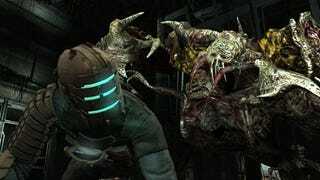 This here is a video compilation of all the death sequences found in Dead Space. The majority of them are decapitations or involve several limbs being chopped off. However, there are some pretty creative ones as well, particularly the sequence starting at 3:28 (which is also my favorite). Be warned though, this video does contain spoilers from boss fights, so you may want to wait until you complete the game. To be on the safe side, I put the video after the jump. Oh, and make sure you enter Ash's contest, too!